Weighted blankets have long been used with children and adults with a range of diagnosis including ADHD, ADD, PDD-NOS, those on the Autism Spectrum, Sensory Processing Disorder, Bi-Polar Disorder, Dementia. 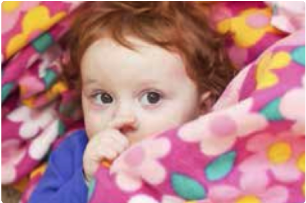 Weighted blankets are a safe and effective therapeutic solution, helping sensory seeking children calm their body, helping aid a peaceful night sleep. The extra weight can help to relieve anxiety and stress, easing the transition and helping to prevent melt-downs and repetitive behaviours. This specialised blanket often helps those with Autism and associated Sensory Processing Disorder by providing soothing weighted blanket sensory input. In addition to being used at night, they can be used in a sensory room, classroom or simply chilling out at home.